Henlen Watches has unveiled a new unique way of changing the look and style of your smartwatch using a variety of different watch frames and straps. The Henlen interchangeable smartwatch system offers an easy way for you to change the look and feel of your wrist worn wearable and currently offers two different styles in a number of finishes. Watch the video below to learn more about how quickly you can change the look and feel of your smartwatch using the interchangeable smartwatch system. Henlen explained a little more about the inspiration behind the system and its designs. We got tired of being confined to wearing the same smartwatch that didn’t match our style, but we couldn’t stop wearing smartwatches because of the functionality it provided. So, we created an interchangeable smartwatch that allows for an isolated cell, which houses all of the technology, to be swapped between different styles of bodies. 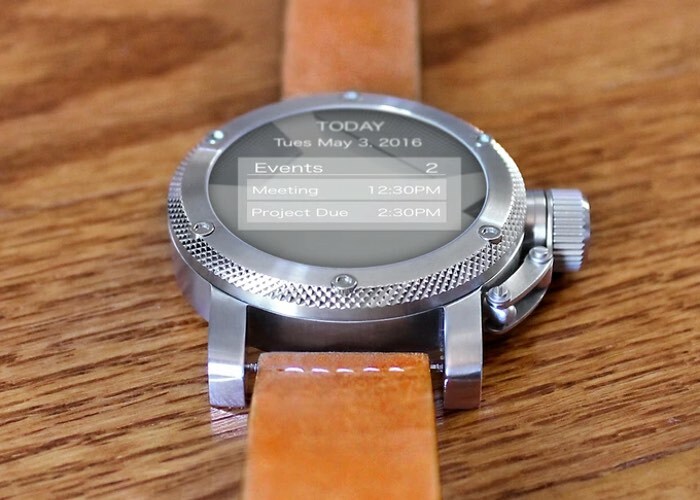 We integrate classic wristwatch designs with optimal smartwatch software. Our vision is to re-establish the original purpose of a wristwatch, while offering the valuable core features of a smartwatch. You will never have to sacrifice style for function! Introducing the Origin Series. Inspired by timeless designs with a modern touch of technology. We embody classic tradition in each of our watch bodies. Using only the finest materials to re-establish the original purpose of a wristwatch; to make a statement. We wanted the Origin Series to showcase the endless possibilities of what an interchangeable smartwatch can mean to you. By using two different designs, we can clearly differentiate how the designs can be better suited for your different styles. With the Commander, we have embodied a rugged and strong personality. Offered in Black or Silver and sporting a black nato strap or tan genuine leather strap respectively. Wherever you go, this will always capture people’s attention. The Henlen interchangeable smartwatch system has been launched over on Kickstarter this week and is now available to back with pledges starting from $185. For more information jump over to Kickstarter via the link below.